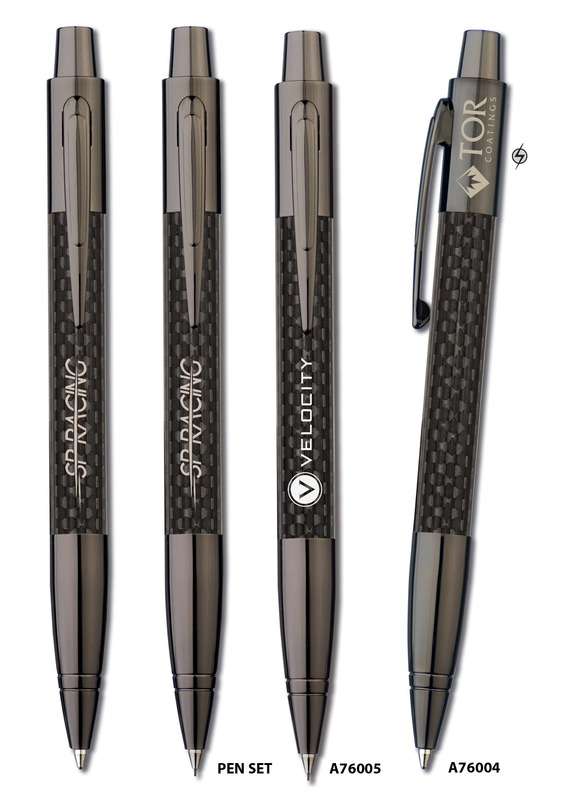 A high-tech genuine bonded carbon fibre ballpen and mechanical pencil with gun metal fittings. 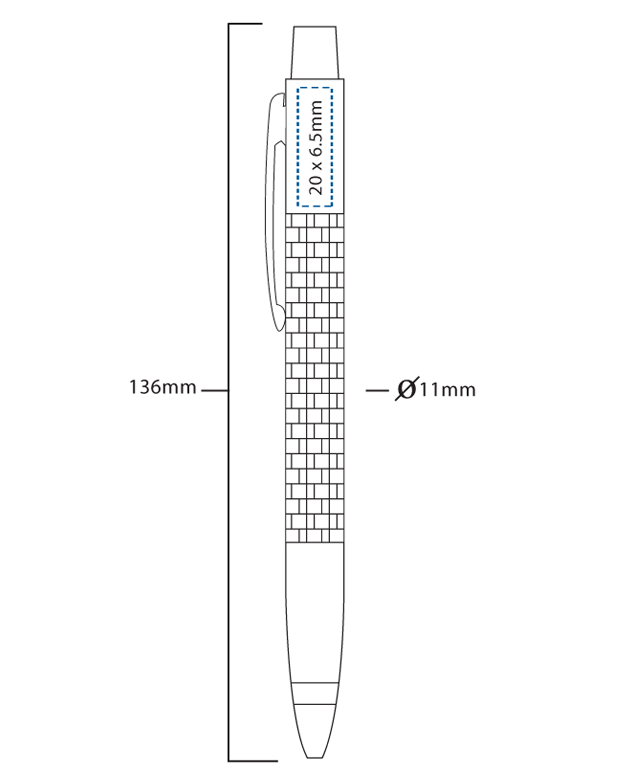 A76004 Monza ballpen by Inovo Design. Push action ballpen in genuine bonded carbon fibre with gun metal fittings and a German made Super Smooth Parker style black ink refill. A76005 Monza mechanical pencil by Inovo Design. 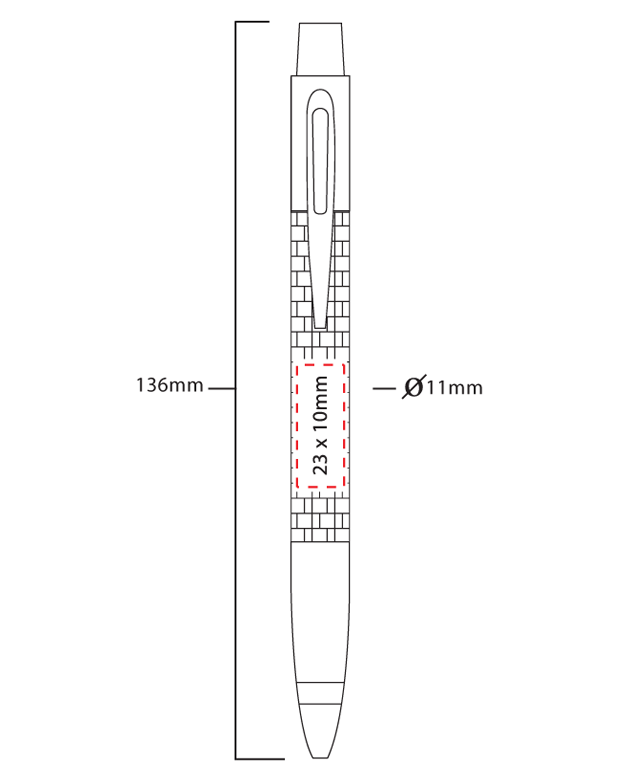 Push action mechanical pencil in genuine carbon fibre with gun metal fittings and a 0.70mm lead refills. Monza Pen Set A ballpen and mechanical pencil in a high quality F2 style black presentation box with a magnetic fastener and black flocked insert. The box illustrated below is a recommendation for the Monza range and is charged at additional cost to the unit price of the pen. High resolution laser engraving is a permanent alternative to screen printing which reproduces designs in incredible clarity and detail. A light bronze colour is reproduced on the gun metal top part of the pen only. Laser engraving is an additional cost to screen printing. 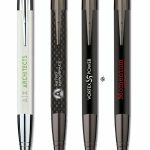 The Monza ballpen is fitted with a high specification German made Parker style black ink refill with a write out length at least twice the distance of conventional promotional pens.